Promoting a healthy lifestyle is one part of Healthy Heritage Movement’s (HHM) mission in addition to serving as a health advocacy outreach organization. Recently HHM celebrated the opening of its new community garden, located inside Ryan Bonamio Park in Riverside, Calif. 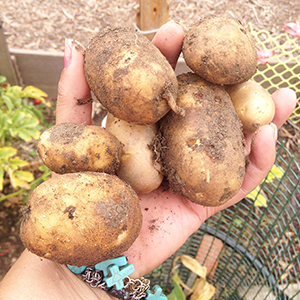 This neighborhood garden, part of the Tequesquite Community Garden, is a 1.12-acre of land the City of Riverside owns, operates, and leases to community organizations such as HHM. This past February, the soil was tilled and seeds of love were planted of fruits, vegetables, and flowers. Also in the garden include: sweet peas, cucumbers, chayotes, chili peppers, bell peppers, spinach, swiss chard, corn, tomatoes, zucchini, potatoes, collard greens, basil, thyme, cilantro, peppermint, rosemary and other various herbs. Jenniemarie Ramirez serves as the Project Coordinator for Living Life On Purpose — a health faith-based outreach ministry program — and keeper of the Healthy Heritage Community Garden. 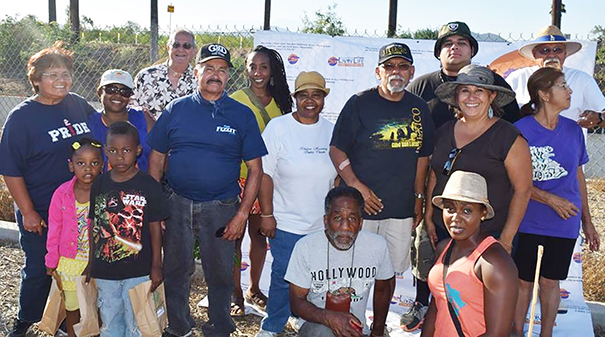 Many community members and HHM partners assisted with the launch of this garden including volunteers, HHM board of director members, the Ramirez family, local artist Maurice Howard, Rubidoux Missionary Baptist Church, and Augustine Avilia to name a few. To learn more about HHM Community Garden contact Jenniemarie at 951-682-1717, email jramirez@healthyheritage.org or visit www.healthyheritagemovement.org.